Mars Incorporated released its fourth annual Principles in Action Summary today. Mars is now the world’s largest purchaser of cocoa from certified sources. A new Deforestation Policy launched in March 2014, which prioritizes palm oil, beef, paper and pulp, and soy. Construction of a massive new wind farm in Texas, which helps Mars meet its 2015 goal of 25% reduction of fossil fuel energy use and greenhouse gas emissions. The summary details the company’s progress against ambitious targets to make a difference to people and the planet. It’s easy to paint a black and white picture of multinationals, but we all know that reality is far more complex and multifaceted. In 1932, Mars moved to the United Kingdom with a dream of building a business based on the objective of creating a “mutuality of benefits for all stakeholders”, echoing the great Quaker enterprises of the previous century, and this objective serves as the foundation of Mars, Incorporated today. The fourth annual Principles in Action Summary, published on mars.com, details the company’s approach to business – the challenges it shares with society, and its commitment to put the Mars Five Principles into action. This includes a target for the private, family-owned business to eliminate all fossil fuel energy use and greenhouse gas emissions from its direct operations by 2040. The company has increased the number of its female managers to 40% (38% in 2012). Reducing Fossil Fuel Energy Use and Greenhouse Gas Emissions – In April 2014, Mars’ announced a partnership with Sumitomo Corporation and BNB Renewable Energy to invest and build a massive new wind farm in Texas, which will meet its 2015 goal of 25% reduction of fossil fuel energy use and greenhouse gas emissions and represents the biggest long-term commitment to renewable energy use of any food manufacturing business in the U.S. Ensuring a Sustainable Supply Chain – In January 2014, Mars invited 11 expert stakeholders to a workshop on deforestation to help develop a vision and strategy for its new Deforestation Policy. Mars’ new policy was launched in March 2014, prioritizing palm oil, beef, paper and pulp, and soy. Additionally, by end of 2015, Mars is committed to a fully traceable palm oil supply chain. Health & Wellness – Mars shares concerns about the growing population and rising obesity levels with the wider industry, and as part of this pledged to ensure that all of its single serve chocolate products are at or below 250 calories per portion by the end of 2013. Mars will be accelerating its efforts to ensure that 100%, rather than the current 95%, of its chocolate portfolio meets this target. Mars is now the world’s largest purchaser of cocoa from certified sources – increasing its purchase of certified cocoa to 30% of total volumes towards its goal of 100% certified cocoa by 2020. Mars Chocolate has built 20 Cocoa Development Centers (CDCs) in partnership with international donor agencies and governments, with 35 more planned for 2014. Mars’ landfill volumes are now just 34% of what they were in 2007; by the end of 2013, 55 sites were landfill free, eliminating nearly 100,000 tonnes of landfill waste annually. 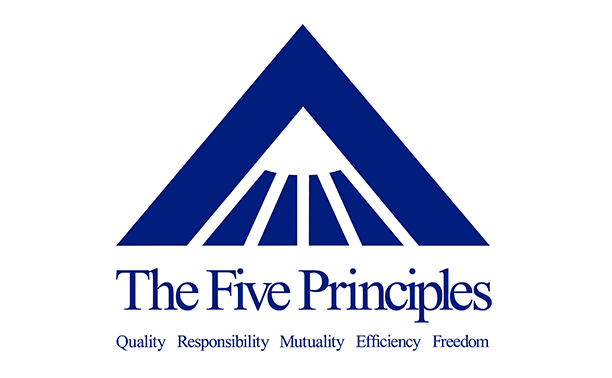 Find out more about the Mars Five Principles and download the Principles in Action Summary report here.